In this week’s episode, we provide perspective and conversation on the City’s study to change the form of government, bond issues to improve quality of life, and Rep. Blake’s breakdown on the close of the legislative session. In addition, we provide rapid fire perspective on RockTopics. We also speak with Mayor Frank Scott, Jr. to discuss the first 100 days of his administration and his Little Rock 2020 Education Roadmap. 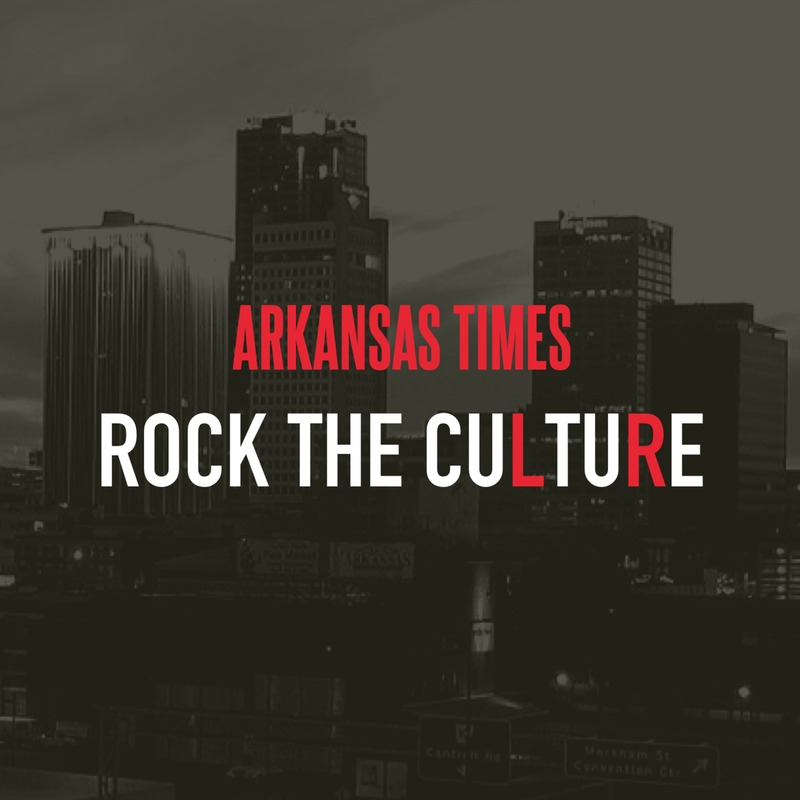 In this week’s episode, we provide perspective and conversation on the cancellation of Riverfest 2019 and the Arkansas Legislature’s new attempt to pass legislation to implement a voucher program. In addition, we provide rapid fire perspective on RockTopics. We also discuss intentionality in diversity, social responsibility, and the growth of Mosaic Church with Mark DeYmaz, author and pastor of Mosaic Church. In this week’s episode, we provide perspective and conversation on the LRSD’ hiring of a principal for the SouthWest High School, the City of Little Rock’s “A Bridge to Work” program to provide paid day labor to the homeless population, and Gov. Hutchinson’s support of the voucher program in Pulaski County. In addition, we provide rapid fire perspective on RockTopics. We also discuss the “Tales from the Motherland” with Crystal C. Mercer, executive director at Local First Arkansas. In this week’s episode, we provide perspective and conversation on the release of the critical incident video regarding the officer involved shooting in Little Rock and Blake’s breakdown about the status of the Flag Bill. In addition, we provide rapid fire perspective on Rock Topics. We also discuss intersectionality and the impact of classical dance for black males in Little Rock in 1990s with 2017 BuzzFeed Emerging Writer Fellow, Frederick McKindra. In this week’s episode, we provide perspective and conversation on the bomb threat that occurred during a recent Little Rock City Board of Directors' meeting and the outcome of Rep. Blake's Flag Bill to re-designate the purpose of one of the stars on the Arkansas State Flag . In addition, we provide rapid fire perspective on Rock Topics (Michael Cohen's testimony at Capitol Hill, Ole Miss basketball players taking a knee, and much more). We also discuss the offerings and events at Central Arkansas Library System ("CALS") with Tameka Lee, communications director for CALS. In this week’s episode, we provide perspective and conversation on Arkansas State Board of Education finally releasing criteria for LRSD to exit state control, community forums with the final four candidates to be next police chief of LRPD, and Blake’s breakdown from the Arkansas legislature. In addition, we provide rapid fire perspective on Rock Topics. We also discuss the future of public transit in Central Arkansas with Charles Frazier, Executive Director of Rock Region Metro. Can you have hot sauce? In this week’s episode, we provide perspective and conversation on Memphis’ Beale Street Music Festival in comparison to Riverfest, UA-Little Rock’s relationship with eStem High School, and Blake’s breakdown from the Arkansas legislature. In addition, we provide rapid fire perspective on Rock Topics. We also discuss the differences between plant-based eating versus veganism with Dr. Tionna Jenkins, Founder of Plate It Healthy. In this week’s episode, we provide perspective and conversation on UA-Little Rock’s feasibility study on football, ICE’s deportation of 21 Savage, and Little Rock’s use of Lime scooters. In addition, we introduce a new segment in which we provide rapid fire perspective on "Rock Topics." We also discuss fitness training with Kim Leverett, CEO of A Kick Above. In this week’s episode, Charles and Antwan provide perspective and conversation on the Little Rock Mayoral Election and State Board of Education’s consideration of the anticipated request to waive the Fair Teacher Dismissal Act. In addition, Charles and Antwan discuss all things happening in the Little Rock School District with Superintendent Michael Poore. In this week’s episode, Charles and Antwan provide perspective and conversation regarding improving the quality of life in Little Rock and the need to convert War Memorial Golf Course into a Central Park. In addition, they interview John Brummett, of the Arkansas Democrat-Gazette, regarding the campaign themes of Frank Scott and Baker Kurrus in the Little Rock Mayoral race. In this week’s episode, Charles and Antwan provide conversation and perspective on the Little Rock Fraternal Order of Police Facebook post about the Little Rock Mayoral Race, Representative Blake’s proposed legislation that would require automatic voter registration, and Forbes 30 Under 30 list recognizing a student at Little Rock Central High School. They also interview Dawn Jeffrey, the community relations director at Seeds of Liberation, regarding their efforts to reduce the jail sentences of non-violent drug offenders who have been sentenced to life in prison. In this week’s episode, Antwan and Charles provide perspective and conversation on the ongoing contract negotiations between Little Rock Education Association and Little Rock School District regarding Fair Teacher Dismissal Act, the Little Rock Mayoral Runoff Election, and lack of coverage of white nationalist’s rally. In addition, they interview Sgt. Willie Davis of the Little Rock Police Department regarding importance of community policing and his involvement in the O.K. Program, a mentoring program for teenage black males. In this week’s episode, we provide perspective, conversation, and context on the Little Rock Education Association’s contract negotiations with the Little Rock School District/Commissioner Johnny Key and its relationship to the State Board of Education’s takeover of the LRSD. In addition, we interview Terri Hollingsworth, democratic candidate for Circuit Clerk of Pulaski County, regarding her historical race and her vision for the clerk’s office. We provide perspective and conversation about the Washington Post exposé on the Little Rock Police Department’s use of no-knock warrants and a political radio ad alleging that black people should vote republican to avoid being lynched again. In addition, we interview Little Rock Mayoral Candidate Frank Scott regarding his mayoral bid and his vision to unify our city. In this week’s episode, we provide perspective and conversation on Issue 2, the voter ID ballot initiative, the rules in the event there is a run-off in Little Rock’s Mayoral Race, and West Central Community Center’s tutoring program. We also interview Cam Slate to discuss mentoring through “The Big Home Program” and his food truck business, Seafood Junkies. In this week’s episode, we provide perspective and conversation on Issue 5, the minimum wage ballot initiative, and the proposal for collaboration between LRSD and PCSSD to share a high school in West Little Rock. We also interview Vince Hunter, former Razorback and professional basketball player, regarding his non-profit PROJECT M.A.D.E. In this week’s episode, we provide perspective and conversation on the City of Little Rock’s initiative to find jobs for our homeless population, the State Board of Education’s decision to take over the Pine Bluff School District, and Governor Hutchinson’s press conference on Arkansas Works. We also discuss the entrepreneurial mindset with local business owner, Lydia Page. In this week’s episode, we provide perspective and conversation on the Arkansas Business’ article entitled “Is Little Rock Losing its Luster?”, LRSD loss of enrollment, and settlement of lawsuit filed against LRPD related to the use of the n-word. We also discuss the evolution of Obamacare to Arkansas Works with Health Policy Director of Arkansas Advocates, Marquita Little Numan. In this week’s episode, we provide perspective and conversation on the Salt Bowl Situation at War Memorial Stadium, the Little Rock School District’s facility plan and community forums, and Elizabeth Eckford’s commemorative bench at Central High. We also discuss the casino amendment proposed by Driving Arkansas Forward with former state representative Nate Steel. We want to be counted with Congressmen John Lewis! In this week’s episode, we provide perspective and conversation on the candidates running for the Little Rock Board of Directors, North Little Rock landing an Amazon facility, and Satanic Temple Rally at the State Capitol. We also discuss the importance of voter engagement with civil rights icon and American hero, Congressman John Lewis – and Clarke Tucker, candidate for the 2nd Congressional District. In this week’s episode, we provide perspective and conversation on the England Police Department’s termination of Michael Moore for telling black folks they do not belong in the England and City of Little Rock’s infrastructure investments. We also discuss the 2018 Filmland with the executive director of Arkansas Cinema Society, Kathryn Tucker. In this week’s episode, we provide perspective and conversation on the cancellation of Country Music Night at Wild River Country, LRSD’s lack of school board election, and lawsuit allowing for restitution of fees associated with traffic tickets. We also discuss the current opioid crisis and AR IMPACT with Dr. Johnathan Goree, M.D. It’s Our Power with Stacey Abrams! In this week’s episode, we provide perspective and conversation on the petition to eliminate the at-large director positions on the Little Rock City Board, UA-Little Rock’s effort to start a football team, and lawsuits filed against the LRPD related to termination of police staff due to the use of racially charged words on social media. We also discuss the current efforts to provide resources to the homeless population with the executive director of Jericho’s Way, Mandy Davis. In this week’s episode, we provide perspective and conversation on the Murphy Arts District Music Festival, Rogerick Talley’s allegations that he was framed by LRPD, and the lawsuit to suspend the expansion of Interstate 630. We also discuss the impact of the death penalty with Furonda Brasfield, the Executive Director of the Arkansas Coalition to Abolish the Death Penalty. In this Season 1 finale, we provide perspective and conversation on the controversial ending of the Hot Summer Jam Concert, Jacksonville’s policy decision to lower the priority of marijuana arrests, and Facebook’s social media training in Little Rock. We also discuss the importance of social media with national entertainment personality, Ally the Pub. In this week’s episode, we provide perspective and conversation on the withdrawal of the proposal for new charter school in Little Rock, the failed ordinance to eliminate at-large directors on the Little Rock City Board of Directors and Swag Ky Bow Ties, a clothing line started by 8 year-old Kylan Robinson. 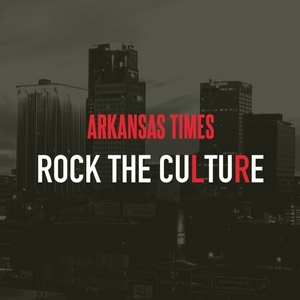 We also discuss Little Rock’s live music scene with Rodney Block, of Rodney Block Collective. In this week’s episode, we provide perspective and conversation on the Pulaski County Special School District’s vote against purchasing updated science textbooks, proposal for new charter school in Little Rock, and the Dunbar Community Center Semi-Pro Basketball League. We also discuss the importance and impact of one-on-one mentoring with Chrissy Chatham, CEO of Big Brothers Big Sisters of Central Arkansas. In this week’s episode, we provide perspective and conversation on the Love Little Rock Campaign in comparison to the new fulfillment center in Alabama. We take a deep dive in the details, purpose, and future of the Arkansas 529 Gift plan (that allows for tax free educational savings) with Emma Willis, the Executive Director of Arkansas 529 Gift Plan. In this week’s episode, we provide perspective and conversation on LRPD's response to the proposed ordinance to make marijuana arrests a low priority offense, creation of the Southwest Little Rock Business Alliance, and 2018 Women's to Watch list. We discussed activism and the purpose of the Poor's People Campaign with our guest Dr. Anika Whitfield. In this week’s episode, Antwan Phillips and guest host Kendra Pruitt provide perspective and conversation on the Arkansas Chapter of the Poor People’s Campaign and on the future structure of the LRSD. We discussed a proposed city ordinance to require LRPD to make marijuana arrests a low priority offense with our guests attorney Omavi Shakur and Rev. Ryan D. Davis. In this week’s episode, perspective and conversation on Judge Gray’s decision to strike down Arkansas’ voter ID law, the loss of jobs at LRSD due to declining enrollment, and overdue repairs to McClellan High School. We discussed entrepreneurship and innovation with our guest Dr. Chris Jones, the executive director and lead maker at the Innovation Hub. In this week’s episode, perspective and conversation on the “Freaky Friday” incident at UA Little Rock, ongoing campaign finance issues at city hall and diversity and de-escalation training for police officers. We also discuss the state teachers union and the looming battle for the preservation of teachers’ retirement fund with guest Tracy Ann Nelson, the executive director at Arkansas Education Association. The inaugural episode with host Antwan Phillips, guest host Rep. Charles Blake and special guest Darren Morgan, executive director of the Arkansas Commitment, a nonprofit that identifies academically talented African-American high school students in Central Arkansas and guides them to become leaders.